By Dr. Mickey Frazier Sr. If you ask any of the officials about the status of the planned 65,000-seat, domed football stadium in Las Vegas, they will tell you things are going well and on schedule. 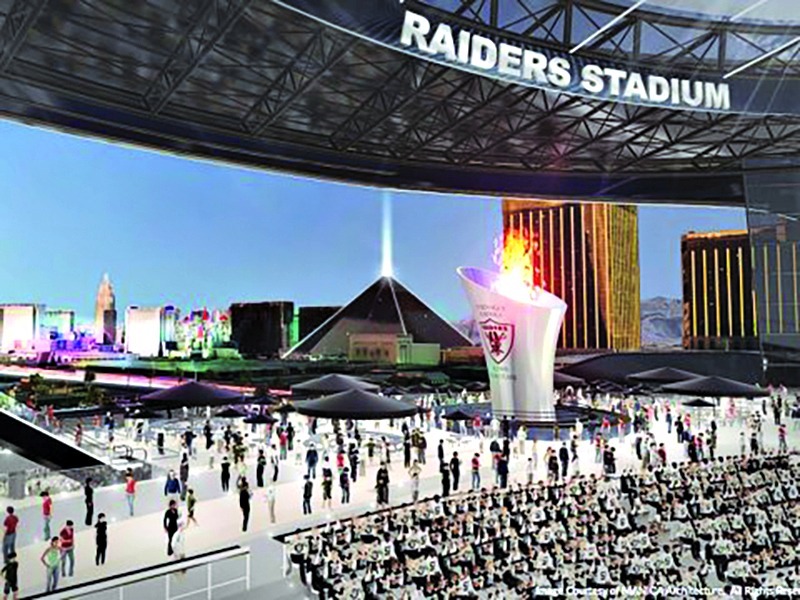 The Las Vegas Stadium Authority says $1.9 billion dollar stadium will be ready for the team at the beginning of 2020 football season. But a sad reality is developing on the ground. There is no parking in the area. Clark County requires 16,400 parking spaces for the stadium and the site only has enough for 2,400. The team members, officials, vendors and VIP’s have parking but what about parking for the fans? The team is investigating all types of solutions. The real estate prices close to the stadium have skyrocketed. Finding a low-cost solution may be impossible. Keeping the stadium on budget is a major concern. Let’s explore one solution. It involves paving the 18-hole golf course located on the Las Vegas strip south of the Mandalay Bay hotel and casino. The Bali Hai Golf Club is located on BLM land that Clark County manages. The purposed parking area built would be a very short walk to the stadium. It would cover roughly 90 percent or 13,000 of the off-site parking spaces required by the county for a 65,000 seat stadium. Waiting in the heat with tens of thousands of fans for a three mile shuttle ride from UNLV without tailgating or walking over an hour from the strip are noted options. In order to put in motion the deal to pave the golf course on BLM land, one of the most successful gamblers in Las Vegas history has to be bought out. Notorious donor, felon and bettor, Billy Walters, has a claim on the land with a 99-year lease and expects millions for his interest in any proposed parking area. When Walters entered into a profit sharing lease agreement with the county and BLM in 1999, he had no idea that this would perhaps be his greatest bet of all. Dr. Mickey Frazier Sr. is an independent researcher and freelance writer who has written technical real estate books like, “Free Claims on Gov’t Land, Claim Your Acres Now!” He can be reached at [email protected].